We have four exciting tours this year including the Rockies + College World Series (CWS), the West Coast Swing, the South + Great Lakes, and the Hall of Fame Induction. Brief descriptions of each tour are below with more detailed versions available by clicking the image. Join DBT as we start in Denver to see the Colorado Rockies then head east to the College World Series in Omaha. Other stops include the Field of Dreams movie site and games at Target Field, Miller Park, Wrigley Field, Busch Stadium, and Kauffman Stadium. The Tour starts/ends at the host hotel near Denver International Airport and runs from June 16 through June 24. THIS TOUR HAS SOLD OUT! Always a fan favorite, come see why some say the West Coast is the best coast! Tour starts/ends in Los Angeles near LAX and runs from June 19-25 with games at Petco Park, Chase Field, Dodger Stadium, the Oakland Coliseum, AT&T Park, and Angel Stadium. Great sightseeing too including a day at the Grand Canyon! Join us in Music City as we start in the South and head North through the Great Lakes, including Canada! We will take in games at Wrigley Field, Busch Stadium, Comerica Park, the Rogers Centre, Great American Ballpark, and SunTrust Park. We will also spend a day at Niagara Falls. The Tour starts/ends in Nashville near the airport and runs from June 26 - July 3. Welcome the newest members of baseball's Hall of Fame and take in games along the East Coast including Yankee Stadium, Fenway Park, Nationals Park, Citi Field, and Citizens Bank Park. 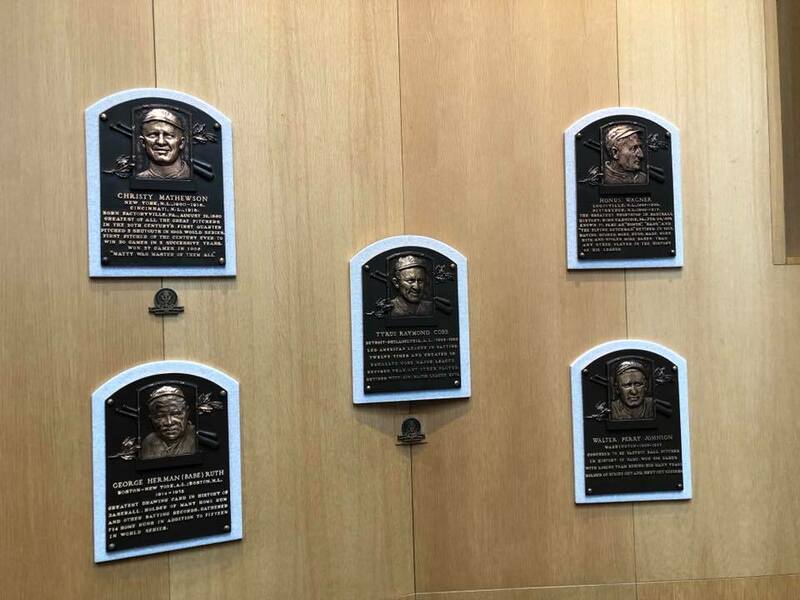 We will also attend the Parade of Legends in Cooperstown the day before the Induction. Tour starts/ends in Newark near the airport and runs from July 17-23.